Indian Style of Hakka Noodles, is my proud attempt. By the Look, also by Taste, it tastes like Szechuan Noodles. You can never find out, Why I call it as Indian Style, till you read the Recipe Ingredients. So far, I prepared it atleast thrice in the past one month. 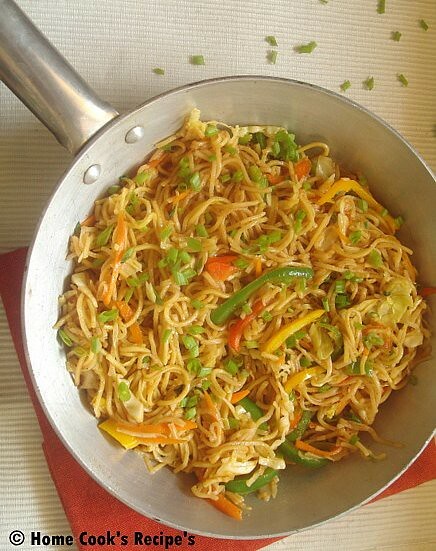 It comes out instantly and I just love the blend of Indian flavours with the Noodles. So after finding out the Surprise Indian Touch, I have given to the Noodles, Think of giving it a try...You will never Regret I bet! Vegetables - [1 cup] of finely sliced Carrot, Beans, Cabbage, Capsicum(in different colours). 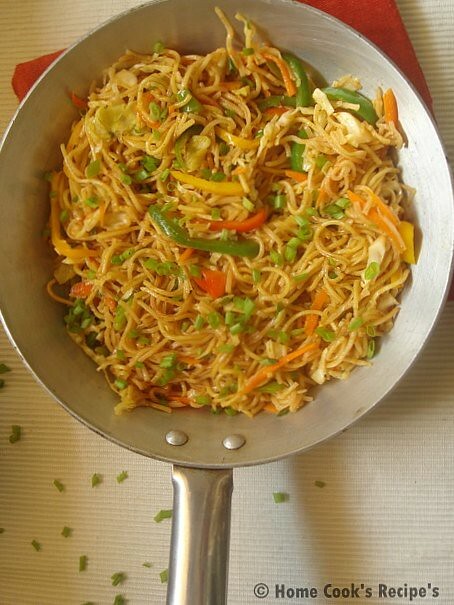 Boil the Half pack of Hakka Noodles in 2 cups of water for about 3-4 mins. Drain the noodles and pour some water over the noodles and drain again. Heat 1/2 tbsp oil in a Pan and fry the finely sliced vegetables for just 1- 2 mins. add a slight pinch of aji-no-moto and mix. set this aside. Heat Oil in a Iron Skillet. Add Tomato Pickle / Thokku to the oil and Stir well. Add all the Sauces to the Skillet and give a Stir. Add the Fried Vegetables to the Skillet and give a Stir. 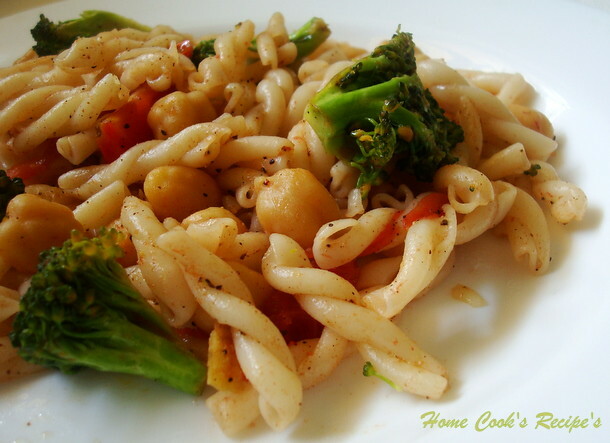 Now add boiled and drained Noodles to the skillet and mix well with sauces - pickle and vegetable mix with Chopsticks or just Toss the Noodles. 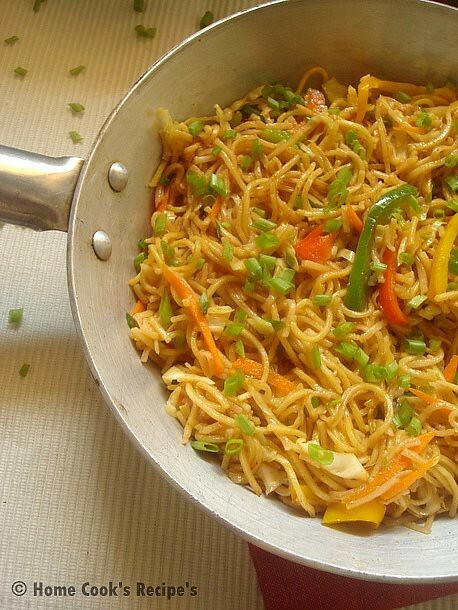 Switch off the flame and add chopped Spring Onions to the Noodles. Note: No need to add salt, as the Tomato Pickle / Thokku will have enough salt. Keerai is my favourite. During my school days, My Lunch Box will be packed up with some Green Dish and Curd Rice. 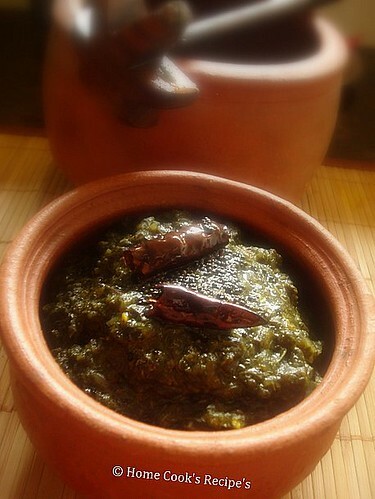 I just love to eat Keerai. 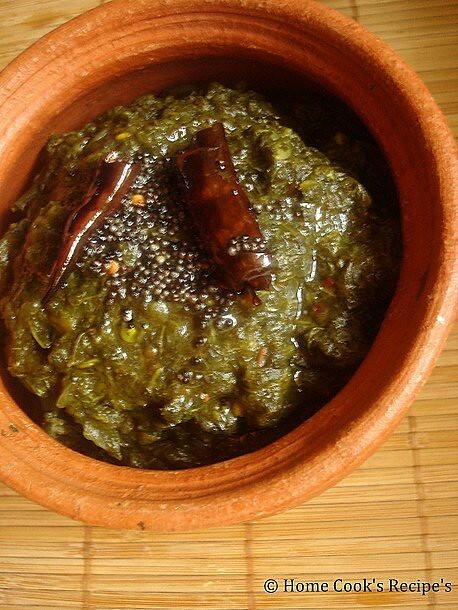 My mom Prepares different dishes with Greens / Keerai. The above are all the one's that i remember here to mention. Of all these, My vote is for Keerai Pappu or. Paruppu Keerai and Keerai Sambhar. But the one that iam sharing today, Kadanja Keerai is also my favourite, only when my mom prepares it. yes, spicyness and tanginess should be in correct proportion for this dish. My mom makes it so Good. 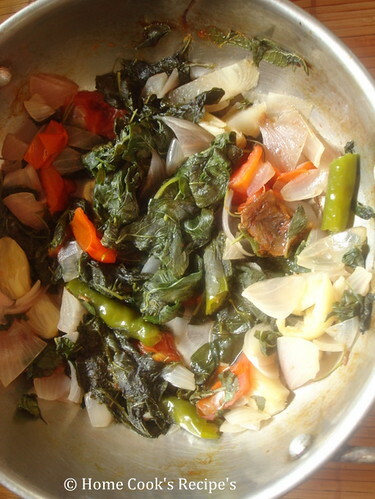 Remove the Greens from their stems and Wash Araikeerai(Greens), three times atleast and keep aside. In a Skillet, Heat a tsp of Oil, add Garlic, Green Chilli's and fry them. Now add Small Onions and Saute them. When the onions turn translucent, add chopped tomato and saute it along. 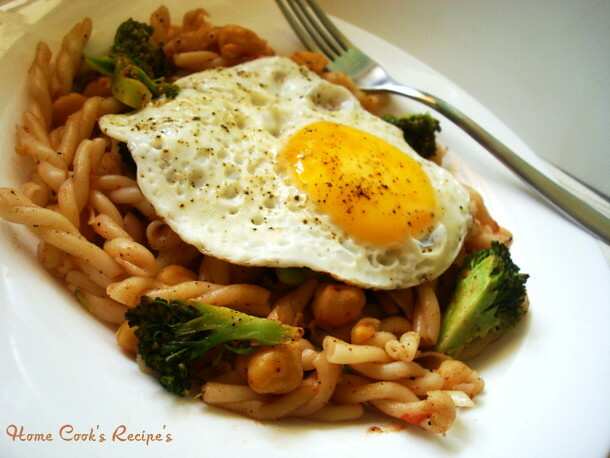 Add Washed Araikeerai to the Skillet and saute it along with onion and tomatoes for about 3-4 minutes. Add tamarind and salt to taste to the Skillet and mix well with the other ingredients. Remove the Skillet from the flame and let it cool down for few minutes. You can either Mash the Greens in the traditional way with a pot and mathu or you can also grind them in your mixer with the pulse button. 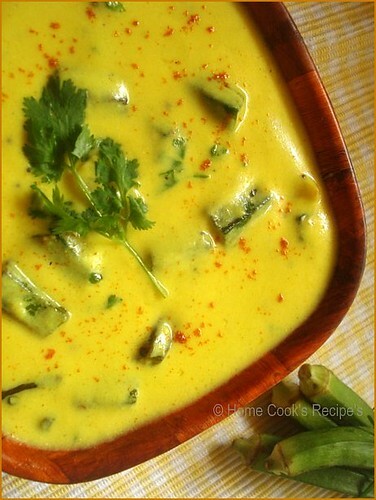 Heat Oil in a skillet and add mustard - let it pop and add urad dal and Dry Red chilli's and asafoetida powder. Now add the Mashed Greens / Kadanja Keerai and let it boil for a minute or till it thickens like thokku. Serve with Hot Rice. 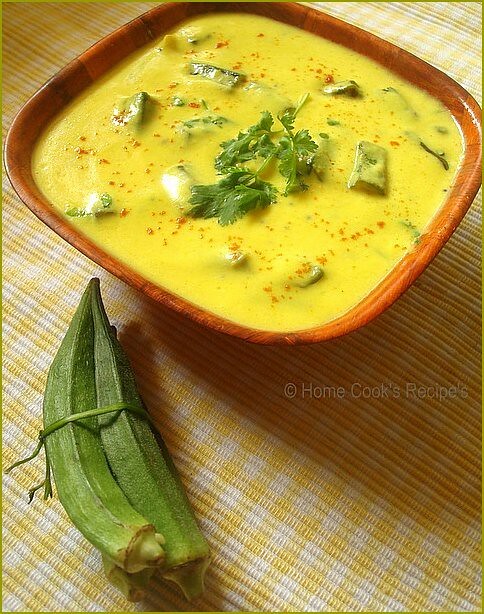 Iam sure this one dish will make your meal a Hearty Meal!! I find very difficult to find time, even to check mails, in such case, blogging has become a dream to me. As hubby dear had gone to Paris, Managing home alone is a tough task. Time goes so slowly, and now i realise, how helpful was my hubby, all these days. A Person's absence brings the Person so close is absolutely True. I experience it right now! Last week, Chennai got rains, and we enjoyed the climate very much. 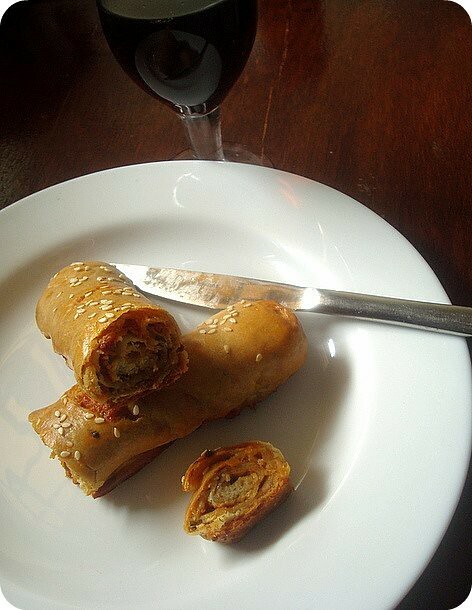 as a part of it, i loved to spend time in kitchen making these Spicy Stuffed Bread. 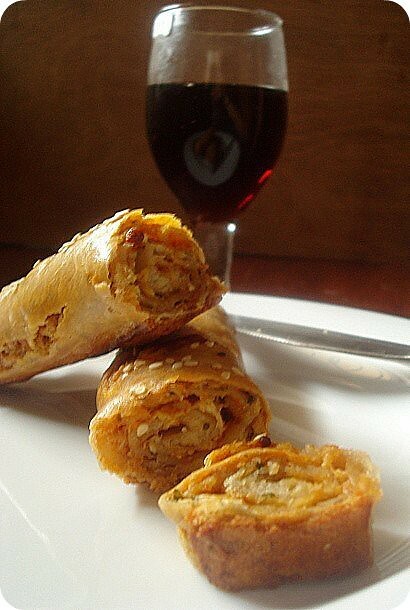 This was prepared after getting inspired from Ari's Baking and Book's Hot Pockets.I customised the Filling / Stuffing the Indian Way and its the best way to impress an Indian Tummy, I bet! Warm the water and Milk and mix together. Add Dry Yeast and Sugar to it and mix well, till the yeast gets mixed. let them rest for 10 minutes, till the yeast mix, turns frothy. In a mixing bowl, mix the Oil and one Egg. beat it well. Add the Yeast mix to the bowl. Add Wheat Flour to the bowl and mix. Now add all purpose flour - 1 cup and mix well. add another one cup of all purpose flour and mix, combine all the flour together and make it as dough ball. 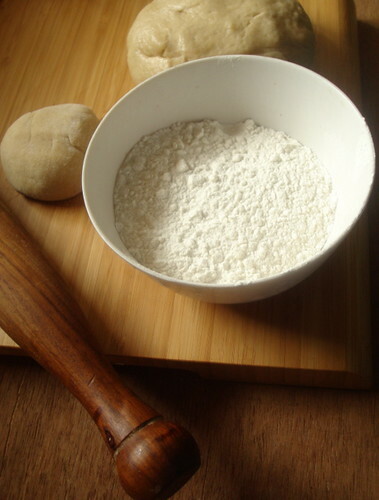 Knead the Dough ball, with the help of the 1/2 a cup of all purpose flour, for atleast 10 minutes. 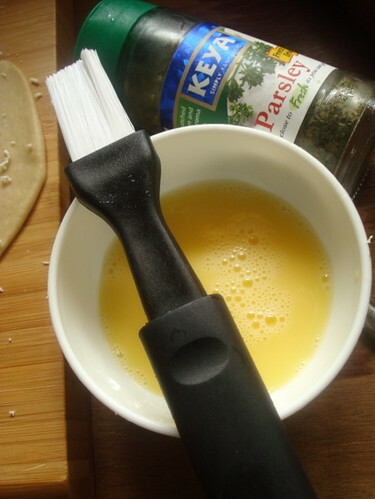 Grease a Glass bowl, with little oil and put the kneaded dough into the bowl. 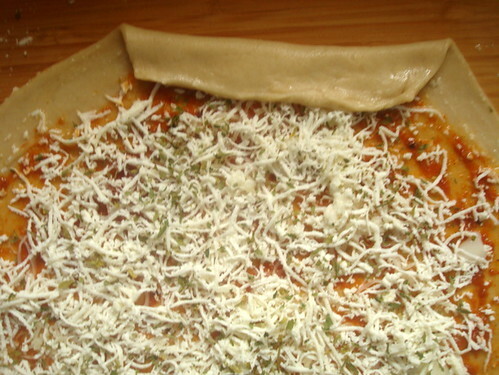 wrap the bowl with a cling sheet and let the dough raise for about 1 and 1/2 an hour. 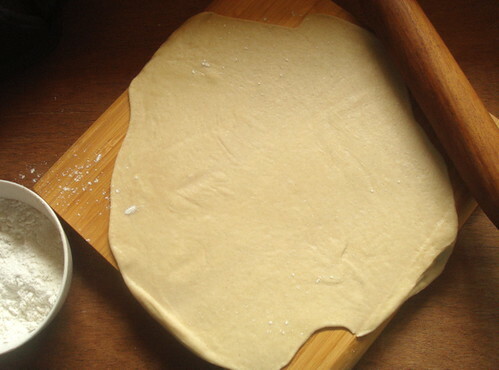 After the Dough has raised, pinch a lemon sized dough and roll it, by dusting some flour for help. Get Ready with the stuffing ingredients. also mix an egg with a tbsp of water and beat well with a fork, for egg wash. 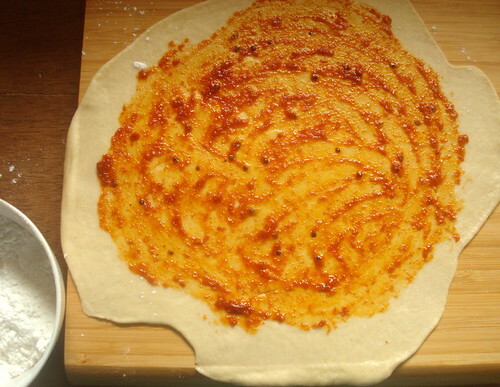 Spread a tsp of Indian Tomato Pickle / Thokku in the centre of the rolled dough. 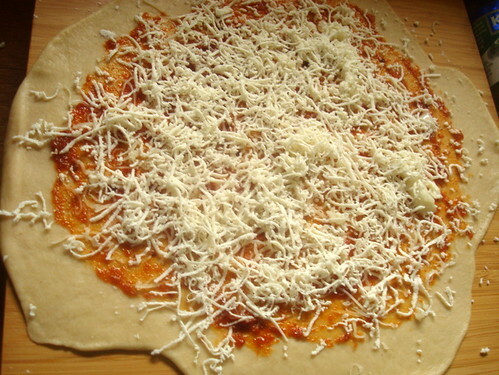 Grate some Mozarella chesse over the Tomato Pickle. 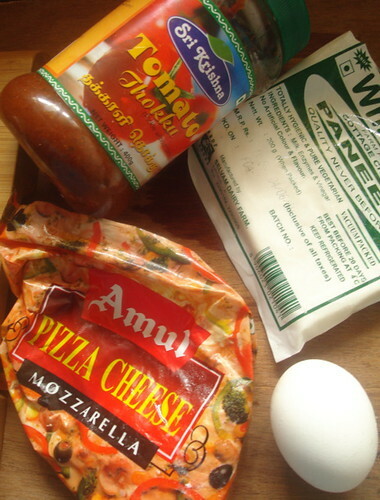 Grate Some Paneer over the cheese. Get ready with Egg wash by breaking a egg into a small bowl. mix a tbsp of water to the egg and beat with a fork. and get some dried parsely, to sprinkle over the paneer stuffing. 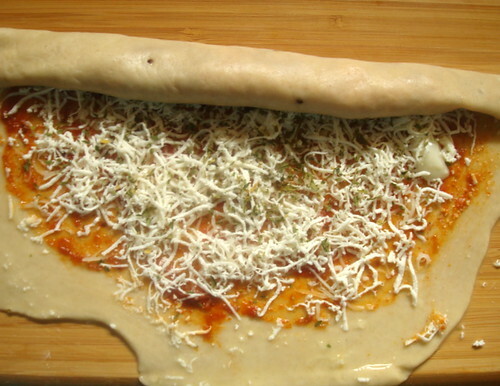 Start Rolling the Dough slowly. Make some incisions over the roll and give a egg wash and sprinkle some sesame seeds over the top of the roll. Pre-Heat the oven at 375F / 180C. and Bake the roll for 45 mins. and let it cool for 30 minutes before serving. The Spicy Paneer Stuffed Bread is Ready!! It tasted so Good. 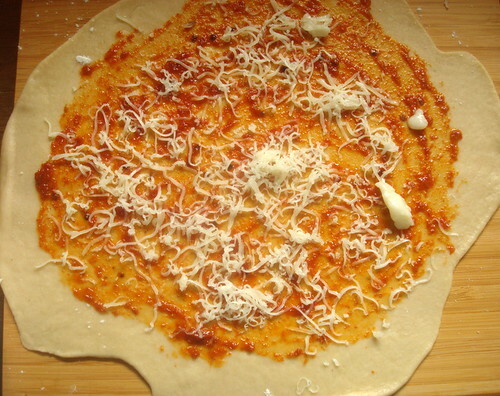 Yes the spicy of tomato pickle, cheese were the enjoyable part of the roll. I felt some more veggies could also be added, as the stuffing was not bulk. Do try it out, if you like spicy breads! This is the first time, iam trying step by step pictures sort of post.Hope you all like it! Badam Halwa is my favourite Sweet and my ammamma, prepares it excellently. She always prepares it for my Birthdays. and as a follower of her, i made Kaju Sweets for my Son's Birthday Party. 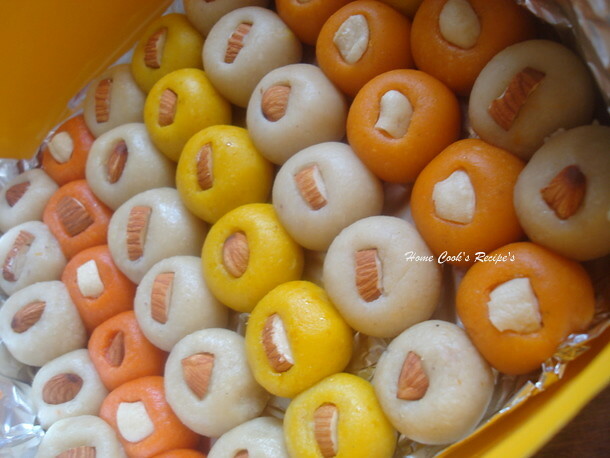 It turned out with Great Taste, and my guests enjoyed the Kaju Sweet very much. 6. Few Cashew's and Almonds to decorate. How to Make Sugar Syrup for Kaju Sweets? Take One cup of sugar in a thick bottomed pan, and pour water till it get immersed (1/4 cup of water). keep checking every half minute after the sugar syrup starts to boil. it may take 5 or more mins in medium flame to attain single thread consistency. When the syrup attains the single thread consistency, put the cashew powder to the syrup and keep stirring it to avoid lumps. even break the lumps if any formed. All the cashew dough would come together to the center of the pan without sticking to the bottom of the pan. this is the stage to remove the pan from flame. Remove the pan from flame and let it cool for about 10 to 15 minutes and till your palms could bear the heat for kneading. Grease some ghee on your palms and knead the cashew dough for about a minute or 2, till they all come out to a big ball shape. 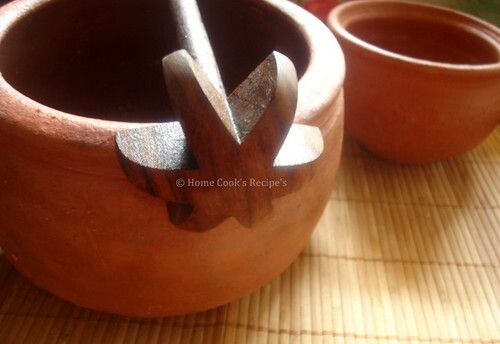 (Kaju Dough is ready) - Refer here to make Kaju Roll. 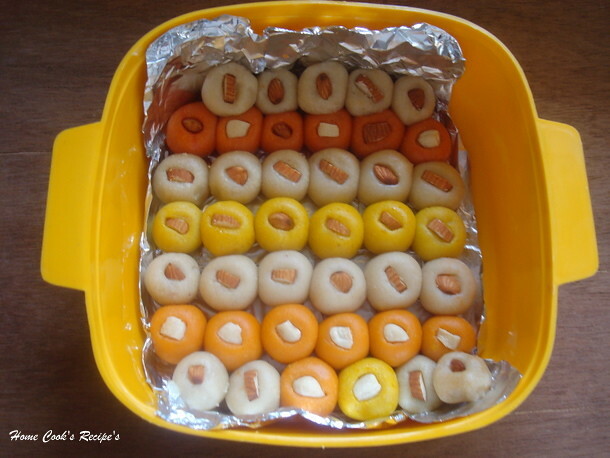 Divide the Cashew dough into 3 parts and add 3 different colours to each part of the cashew dough. mix the colours well with the dough. and roll into small balls with your ghee greased palm's. (just as we make balls from chapathi dough). Cut the Almonds and Cashews into small pieces and insert into the centre of the Kaju Sweet Balls so that they get flattened a little.